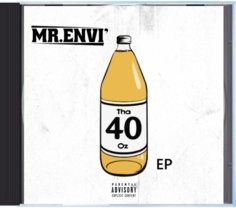 Southern Stisles Records | Southern Stisles Records | HOME : Mr. Envi' Releases "Tha 40oz EP"
Mr. Envi' just released a new EP titled "Tha 40oz". While listening to the whole EP, I get a sense of an artist that truly understands his voice and presence. Mr. Envi''s southern charm instantly draws you into his music, no matter the subject. While listening to the EP I fell in love with the entire project, but there were a couple of songs that stood out to me. One of which, "Tell Me Wutchu Want" easily stole the show, and in my opinion is the track that really showcases this artists style and finesse. The track really brings a nostalgic 90's feel sampling Mase and Total's song "What You Want". He does the song justice by adding a nice baseline and making the subject matter more in tune with current generational issues, while incorporating modern-day verbiage. I can see this song having a heavy rotation within the club scene while simultaneously paying homage to a great era of music. That’s what makes this song so uniquely great. 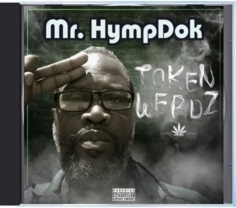 It is embracing the current musical era while utilizing the past. Smart if you ask me!